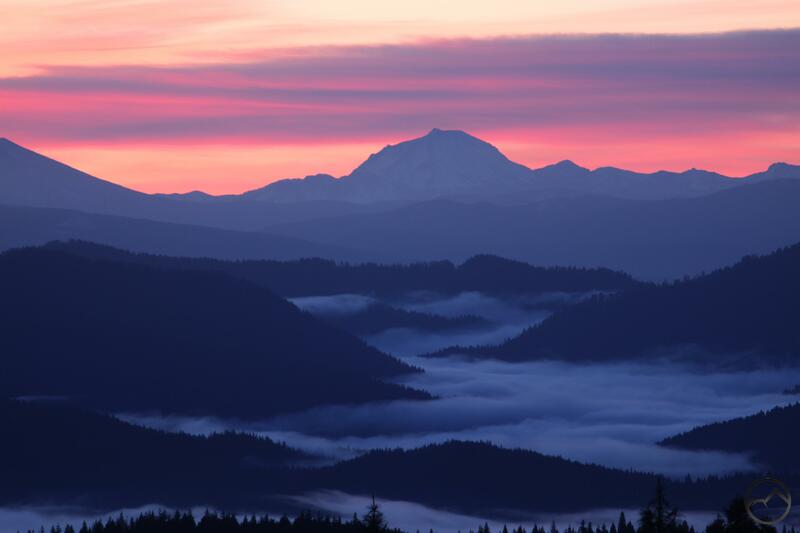 Sunrise view from of Lassen peak, a giant of the Cascade Range, from the flanks of Mount Shasta. California’s North State is one of the wildest, most rugged and most spectacular regions in a state that has no shortage of magnificent mountain wilderness areas and exceptional scenery. Despite the cornucopia of spectacular landscapes, the region often seems to be overlooked by the public at large. The reasons for the lack of awareness of what the North State has to offer is rooted in many things, among them is the distance from population centers in the rest of the state. This may not be a bad thing since it leaves the communities low key and the trails uncrowded. Still, one wonders if, at least in part, the northernmost part of California has escaped attention because, to some degree, it is shrouded in mystery. This is the land of Bigfoot and Lemurians and people who want to be left alone. Yet it is also one of the most complicated geologic knots in California. There is no doubt that the complex geography has contributed mightily to the regions relative anonymity. Sawtooth Peak in the Trinity Alps. The complicated geography of the North State is exacerbated by the lack of a systematic taxonomy of the mountain ranges and other areas. Several determinants have contributed to this confusing condition. Perhaps chief among these causes is the general lack of clear delineation between mountain provinces. There are few clean breaks between ranges and regions. This is worsened by the tendency for subranges to overshadow the larger geographic context. 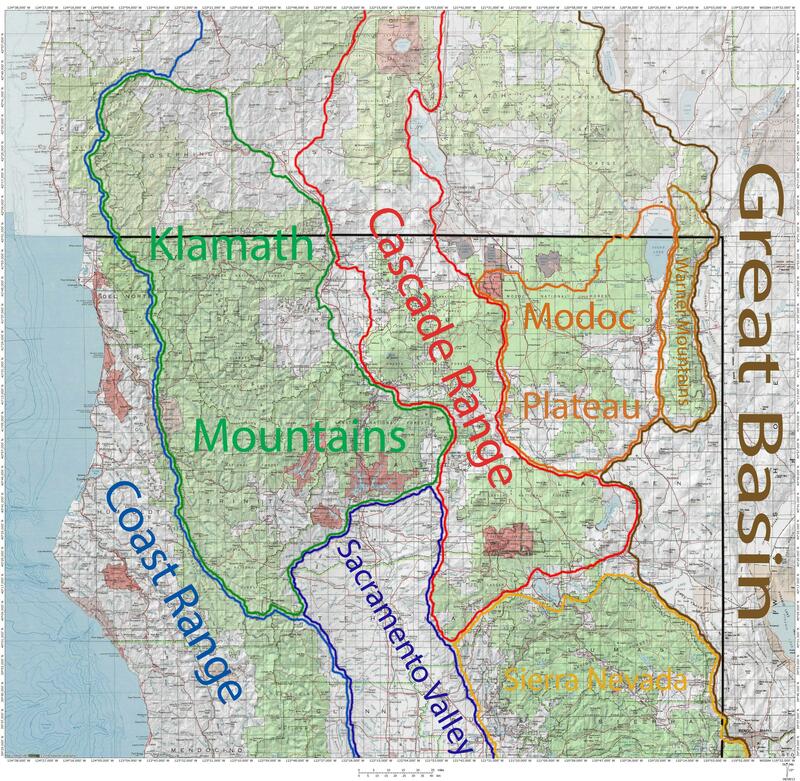 An example of this is the Trinity Alps prominence has obscured the fact that the massive Trinities are really a part of the much larger Klamath Mountains. Obviously Mount Shasta eclipses everything else. Yet, in the shadow of these mighty mountains lie other ranges and areas that have remained under the radar, drawing only the attention of the few who seek to utilize their resources. So overlooked are some of these mountain areas that they have escaped appellation and remain anonymous in the truest sense of the word. Lacking even names, these areas have generally escaped taxonomy in all but the broadest terms. For those who enjoy the natural wonders of the North State, it is not necessary to have a comprehensive knowledge of the regions geography. Nonetheless, for those who are interested in understanding that which they enjoy in general and geography in particular, it is useful to try to untangle the incredible complexity that is the uppermost portion of California. This is a daunting endeavor, for the breadth and width of the North State is vast and amount of geography that demands attention is immense. Still, it is a worthwhile task. It should be noted that the forth coming series on North State geography is sourced from both printed resources and my own observations. There is a paucity of written material for this area and what there is, is often inaccessible. I have a tendency to seek after clear demarcation and organized categories. That is a state that is impossible to attain but one I will toil after nonetheless. Also, there are many cases where I am, by necessity, making seemingly arbitrary decisions about the scope or inclusion of areas in broader geographic contexts. I am trying to make the most sense of a confusing area and I readily admit that geology could prove me wrong. 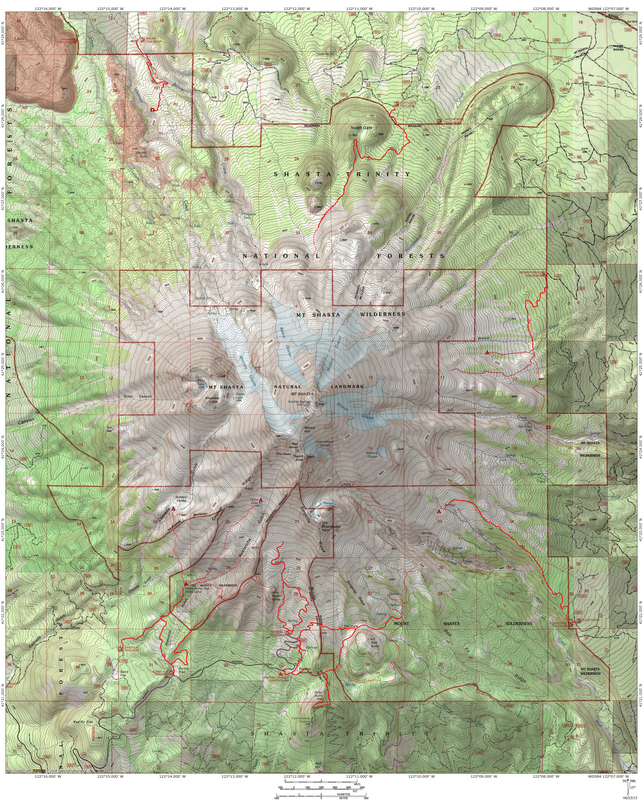 In spite of these limitations, I think that identifying and sorting out the North State’s complicated geography can be a helpful effort. Even looking at that basic map is helpful. I have always known that northern Cal has a lot to offer, but I have overlooked it to some extent. Guilty! 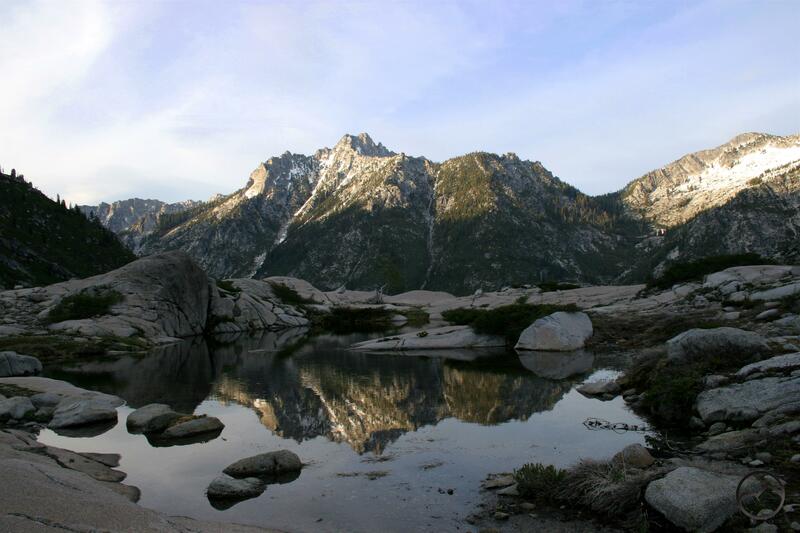 I remember friends climbing in the Trinity Alps and loving it. That is one area I really want to visit. More locations to put on the to-do list! Thank you for this. It is very informative and now for sure I have to head back up north to do some hiking and camping. I look forward to your posts in helping plan future trips. Awesome. I thought Dunsmuir is in the Cascade Range but now I see it is in the Klamath! Life is a steep learning curve! It really is on the cusp of both ranges. However, if you zoom in on this map and use the sliding function (lowest button in the upper left) you can see that is falls more into the geologic province of the Klamaths!